If only Woodrow Wilson were right. The massive casualties of World War I were followed by even more horrific numbers in World War II. Americans often forget the First World War and how it affected the European and American psyches as Germany and Japan pursued aggressive measures in the 1930’s. Much of the world blinked, hoping not to replicate the tragedy triggered at Sarajevo, only to see the Second World War envelop most of the rest of humanity. Hopefully, all of us are familiar with World War II’s narrative: Hitler’s aggression in Europe, with France and Great Britain hopeful that the annexation of Austria, Neville Chamberlain’s sacrifice of the Sudetenland, and Germany’s conquest of the rest of Czechoslovakia would curb the Nazi appetite; Japanese conquests in Asia insufficient to motivate the United States to curb the aggression until the attack on Pearl Harbor. The First World War is harder to fathom, the product of ultranationalists in Serbia and entangling alliances among the European powers. Young men in Sarajevo plot to murder the heir apparent to the Habsburg throne in Austria-Hungary. They seek personal glory in an act they hope will lead to recreation of a mythical Pan Serbia, “regaining” lands then held by Austria-Hungary and the Ottoman Empire. Each man is prepared to die by taking arsenic or shooting himself; each fails in the effort. Serbian leaders produce an unsatisfactory response to Austria’s ultimatum (which includes Austria’s participation in the investigation and prosecution of suspected Serbian conspirators). Austria declares war on Serbia. Russia comes to the aid of Serbia. Germany declares war on Russia. Treaty commitments ultimately bring Great Britain into the conflict. Four years of war lead to 8.5 million deaths, 21 million wounded, and tens of thousands more unaccounted for as young men are obliterated beyond recognition by the weapons of war. Let’s look at just two countries, France and Germany. France’s 1910 population numbered 41 million. The war killed over 1.3 million soldiers and left 4.3 million men wounded. Of the men who actually served, 17 percent were killed – roughly one out of six men – and fully half were wounded. Germany’s 1910 population numbered 78 million. Almost 1.8 million Germans soldiers died and 4.2 million men were wounded. Of the men who served, 13 percent were killed – roughly one out of eight men – another 40 percent were wounded. While the European fighting began in August 1914, the United States did not enter the fray until April, 1917, thereby limiting American casualties (117,000 dead; 204,000 wounded – comparable to 406,000 dead and 708,000 wounded in the U.S. 2015 population). The American sacrifice was great, but pales in comparison to French and German losses. It’s no small wonder the Europeans hoped Hitler would just leave them alone. The numbers require some correlation to our current population. Only the Syrian conflict offers a modern-day parallel (2011 population of 23 million; 220,000 dead as of March 2015; 9 million displaced of whom 3 million have left Syria for Lebanon, Turkey, Jordan, and Iraq). Conditions have only gotten worse since March. Comparable U.S. numbers in the United States would be 3.1 million dead; 125 million displaced, with 42 million leaving the country. If we put statistics in context, perhaps we can look at the victims as fellow human beings who by the accident of birth are in the wrong place at the wrong time, and deserve our sympathy and meaningful support. And, of course, in recent months the Syrian Diaspora has spread to Europe, pulling at the world’s heartstrings as we witness a suffering but courageous population unwilling to leave the next generation of Syrians adrift in the Middle East’s increasingly dangerous waters. Keegan, John, The First World War. New York, New York: Alfred A. Knopf, 1998. 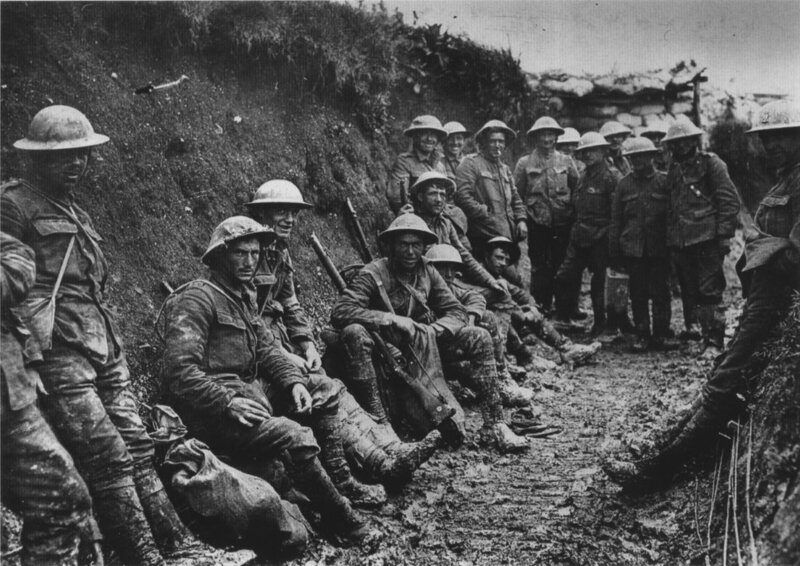 Clark, Christopher, The Sleepwalkers: How Europe Went to War in 1914. HarperCollins, 2012.